Lock in a great price for The BEACON – rated 9 by recent guests! The staff was very kind and service oriented. Very clean, great locatin! Large windows. Free water bottles in the room. Very friendly and helpful staff. We arrived in the morning after a 10+ hours flight and were given a room right away. I had some problems with the prepayment by credit card that they solved very professionally. Only a few minutes from the MTR station, so quite centrally located. The place was very clean. It was near the Mong Kong MTR station. Shops and restaurants were so close by. The staff members at the reception were very hospitable, especially Eddie, and they answered all my queries and recommend places to shop and eat. I was given a corner room with massive windows that had stunning views of the city. 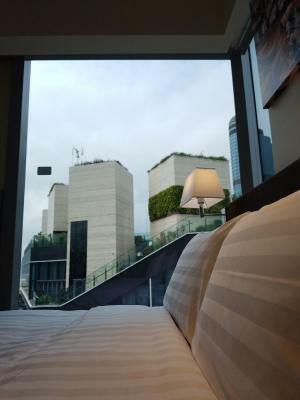 Definitely will book again if I am ever in HK. The room was clean and the bed was comfortable. The view from our room was also very nice. The staff was very helpful. The hotel is in a very convenience location. 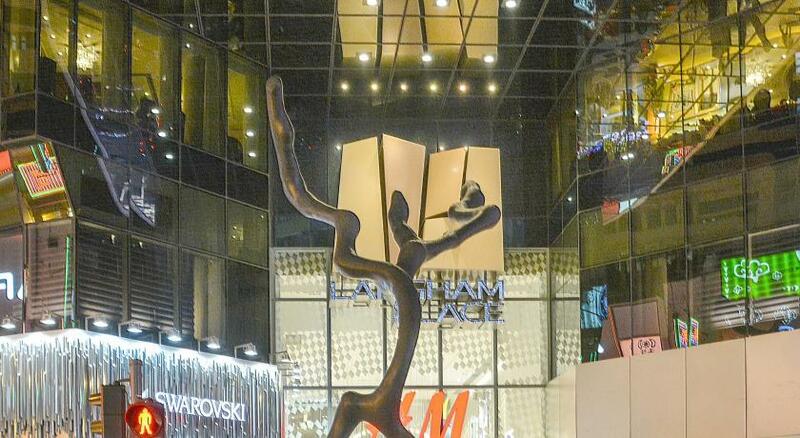 It is very close to all the shopping attractions and subway service. Good for one or two days short stay. Everything was perfect but one thing: the AC is very, very, very noisy in that room. This hotel is in good location, the staff is very friendly and helpful, especially Matthew Wong and Angus Chan. 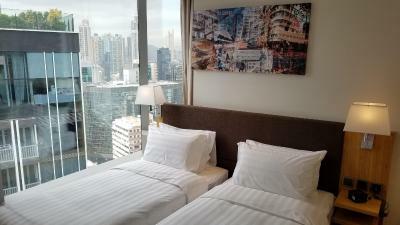 This new hotel located at most strategic place in Mongkok, with friendly staff and very clean room. The BEACON This rating is a reflection of how the property compares to the industry standard when it comes to price, facilities and services available. It's based on a self-evaluation by the property. Use this rating to help choose your stay! 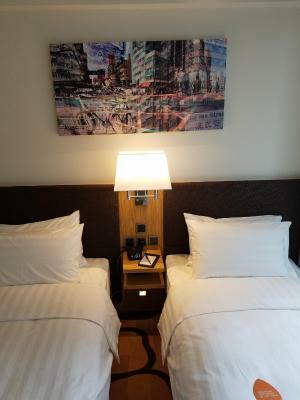 Boasting a fitness center, The BEACON offers rooms in Hong Kong, a 3-minute walk from Ladies Market and Sneakers Street. 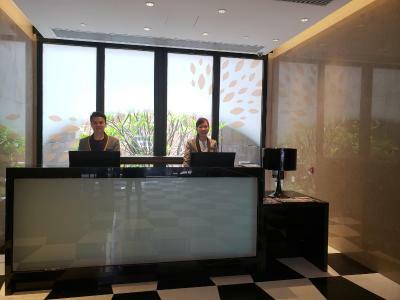 This property is set a short distance from attractions such as Elements Hong Kong. 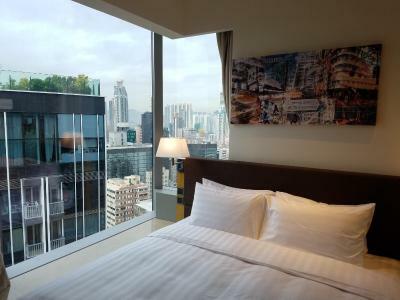 The property is located in the Mongkok district, 1.3 mi from Mira Place 1. 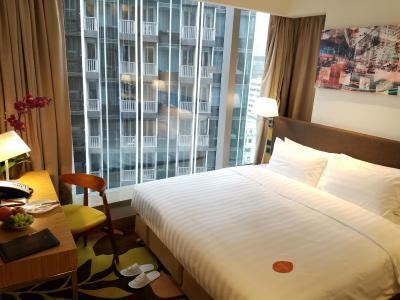 MongKok MTR station is 5 minutes' walk from the accommodations, while Langham Place shopping mall is 10 minutes' walk away. 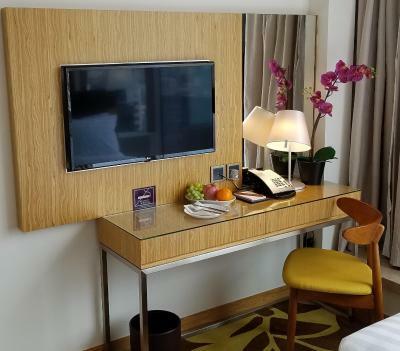 At the hotel, rooms are equipped with a desk and a flat-screen TV. The private bathroom is equipped with a shower and free toiletries. Guest rooms feature a wardrobe. A business center is at guests' disposal at The BEACON. Nonstop assistance is available at the reception. When would you like to stay at The BEACON? This suite has a iPod dock, electric kettle and mini-bar. This twin/double room features air conditioning, tea/coffee maker and electric kettle. This twin/double room has air conditioning, electric kettle and flat-screen TV. 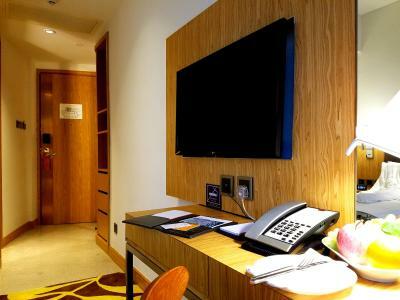 This twin/double room features a electric kettle, iPod dock and mini-bar. House Rules The BEACON takes special requests – add in the next step! The BEACON accepts these cards and reserves the right to temporarily hold an amount prior to arrival. This was our second visit to The Beacon and if we come back to HK we will stay there again. Just an all-round excellent hotel in a lively part of town. I wouldn’t say there are any cons, BUT if I had to mention something, the beds were slightly on the harder side for my liking. But not enough to prevent a good nights sleep. Amazing location, brand new hotel, great staff (especially Angus - he was so nice to us!) and really good value for money. 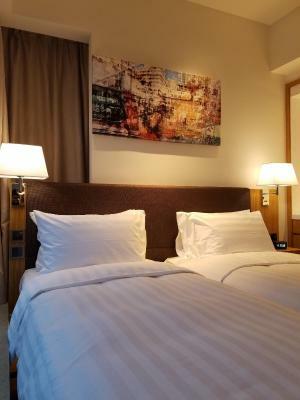 Easy to locate, right in the middle of Mong Kok and the sneaker street, 2 minutes walk to Ladies Market, 5 minutes walk to Mong Kok metro and hotel is right across Starbucks - everything is within walking distance which is great! 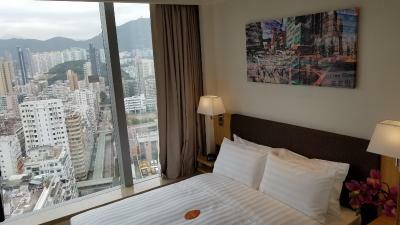 Would highly recommend this hotel to anyone going to Hong Kong, wanting to stay on the Kowloon side. Not really near the MTR exit (compared to the hotel we usually stayed in). Also, we needed quite a long walk from airport bus stop (A21) to the hotel. We got an upgrade to the Executive room which was nice. The room space was still quite packed if we open 2 large luggage, but still manageable. What I like about the place is the hotel area. Convenient store is in the next building, there's Starbucks across the street, Sneakers Street is just around the corner if you up for a shopping spree, and of course lots of great food place within walking distance. Last but not least, the staff were very helpful and friendly. No proper glasses for drinking beer! Very comfortable, spacious, and clean suite. Wish we could have stayed longer. we were informed by staff to pay HKD500 deposit which was not refunded to us on the last day of our stay. No receipt was given to us instead we were told that the deposit will be refunded to our bank a/c. We loved our stay at The Beacon and would highly recommend it. The room and bathroom was a good size the hotel was in a great location, it was very clean, comfortable and modern. The lift was not functioning during my check out. Reported but no immediate action was act and no one attend to offer for help. We have to carry our luggage down to the lobby by walking staircase. Overall was great, the staff are friendly when arrived for checking. The room was small but comfortable and space for luggage. 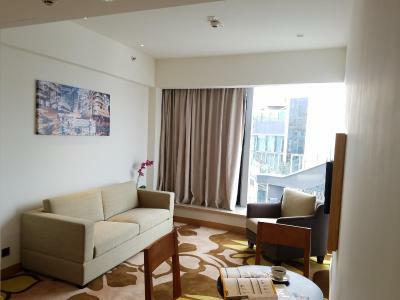 It has ideal location which is near MTR stn and have food and shopping near. We have old folks with us and it is comfortable and accessible for them too. Will stay again when in HK. 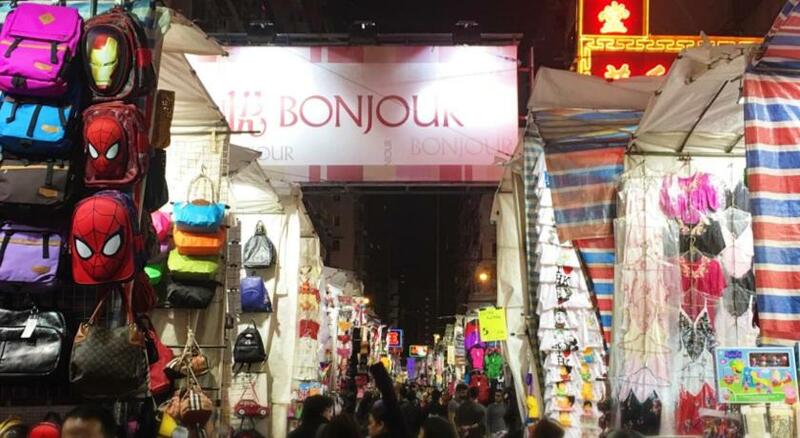 Location is great.near ladies market and grest food. cleanines is good... pls ask for higher floor when u book.